Become our next I-92 Facebook Friend of the Day, and we’ll say thanks with a prize! It’s easy, just let us know that you’re listening! 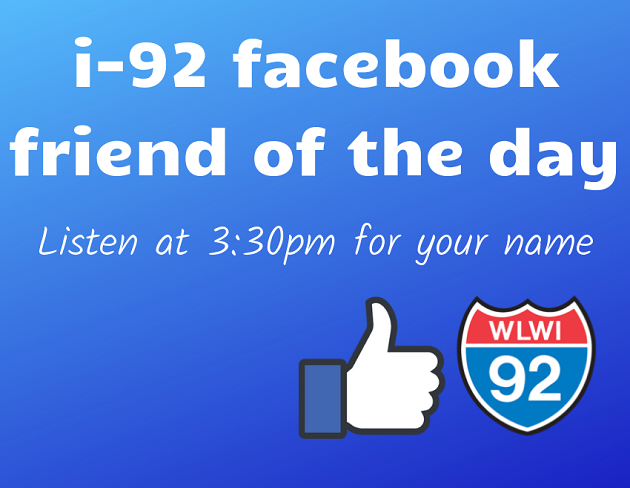 Each afternoon around 3:30pm, Greg Thomas will announce the I-92 Facebook Friend of the Day. If it is you, just call back within 9 minutes and 23 seconds to claim your prize! Our studio phone number is (334)860-9200. Store it in your phone for quick dialing. Now, you may wondering, what’s the prize that I could win? Prizes being offered vary, check back here for the latest give away schedule. Week of April 22nd: One (1) NOW That’s What I Call Country Volume 12 CD! • Check out www.nowthatsmusic.com or www.facebook.com/nowthatscountry for more info or follow them on Twitter, Instagram and Snapchat @nowthatsmusic for music news, contests, prizes and more – OR stream it on Apple Music, Spotify, etc. • Promotional consideration provided by Universal Music Group Nashville. Be sure to fill out the form below, and submit it. This way, we know you’re listening for your shout out and to win! Let us know you want to be featured as our next I-92 Friend of the Day to win!